The recent U.S. federal government shutdown that lasted a record 35 days (December 22, 2018- January 25, 2019) made headlines and an impact on many beverage businesses who were pursuing label, formula, and permit approvals. It was a harsh reminder of the implications of operating in a highly regulated industry. Regardless of where you stand on the political spectrum, one thing we can agree upon is that shutdowns for any reason are stressful. Before the shutdown, the TTB was becoming more efficient, timelines were shortening, and we may have begun to take for granted or forget some of the underlying truths about the volatile world of beverage compliance. Beverage timelines are a series of interconnected activities that depend on one another. We don’t think about all of the pieces until some of those pieces are missing. From loan and label approvals to Brewer’s Notice requests, the shutdown held up projects at many different phases, and with varying degrees of financial impact. Some new breweries were stalled out on financing while waiting for the U.S. Small Business Administration (SBA). Other beverage companies sat with finished product that they were unable to legally sell as they waited on approval for new labels or new locations. Understanding the full process your beverage and business needs to go through to get products into the hands of your customer is vital. It is helpful to map out each of the points where you’ll need approval to ensure you’re organizing and maximizing your processes and seeing where potential slowdowns might occur. You can monitor sites like the TTB formula processing timeline, the TTB label processing timeline, and the TTB “Average Days to Process Permits site, to adjust and manage your timeline based on estimated wait times for review and approval. In addition to federal regulations, you’ll also need to abide by county and state laws, so make sure to add those into your process as well. Familiarize yourself with the requirements for submission and compliance overall, as well as within your beverage category. Understand what is required as well as what is allowed. Some areas where we see a lot of confusion are government warning format, missing class/type designations, and using health related claims. Submit as early as possible once you have the minimum amount of required information. Note that according to the TTB, electronic applications resubmitted for correction always takes priority over new applications. It is also a good idea to review the list of allowable revisions to approved labels to understand if and when you would need to resubmit your label if you needed to make changes. Depending on how you’ve submitted your application, you may be able to monitor the status of your request online via the TTB’s website. You can call to check on the status of a permit that has fallen outside the average application processing times listed on ttb.gov. According to regulation CFR 13.21(b), the TTB has up to 90 days to process label applications. While the hope is that everything will operate as expected, history tells us that is not always the case. Stay in touch with what is happening in the world and how it could potentially affect your beverage and business plans. Study what others have done to navigate difficult situations like shutdowns, product recalls, reportable food and beverage registry notifications, and other regulatory issues. Keep a pulse on what’s happening with not only the TTB, but also the FDA, USDA, and state regulatory authorities. Lean on industry trade groups for updates as situations unfold and consider outside reviews and audits to help you take an even more subjective look at your exposure. Especially in times of change and uncertainty, it is helpful to have a team of experts with diverse backgrounds and experience to lean on. 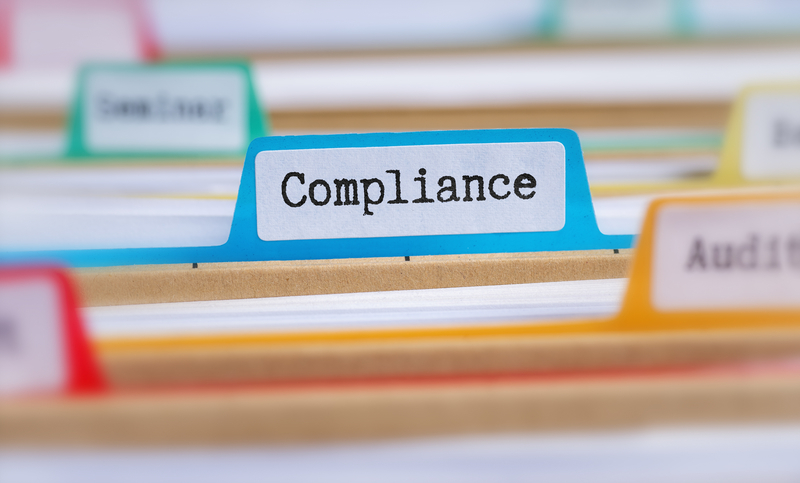 Someone who focuses on compliance every day for a range of businesses will be more aware of potential upcoming changes and best practices for managing the effects of those changes. Maintaining a consistent relationship with those experts by having them involved in developing or reviewing your plans ensures you can leverage their knowledge to keep your company compliant and successful. While we can’t predict when the next shutdown or regulatory change will happen, we can do a little more than sit around and wait. Taking a proactive approach to understanding and managing your beverage compliance practices puts you in a better position to handle and react to whatever happens next. Note: On January 31, 2019 the TTB issued an update stating that the submissions they received during the shutdown doubled the existing backlog. The agency was unable at that time to estimate the impact of that backlog on processing times for current or new submissions. Disclaimer: The information in this article is intended to convey general information regarding beverage laws, taxes and compliance and it does not constitute legal advice. This is for informational purposes only, and we strongly encourage you to seek independent legal counsel for advice on specific legal issues.